The conference comenced with a major gathering of Greek school leaders on the role of e-government services in education. The event was organised by the Regional Directorate of the Ministry of Educatuion and was also under the auspecis of the Ministry of Administrative Reconstruction. The first day also included keynote speeches form the Institute of Educational Policy in Greece and various actors on the themes of science education, responcible citizenship, educating our future leaders, and open cities. A separate session on promoting self-regulated learning in primary education was also held. The second day included a full paper session on STEM approaches and their role in open schooling, inclusive education and schools as learning ecosystems. 8 parallel workshops offering an array of training approaches and material on schools fighting childhood obesity, exploring values and democracy in the classroom, teaching science through music, creating MOOCs in the classroom, debating in primary education, big ideas in science teaching, prosocial skills and coding dominated much of the second day. 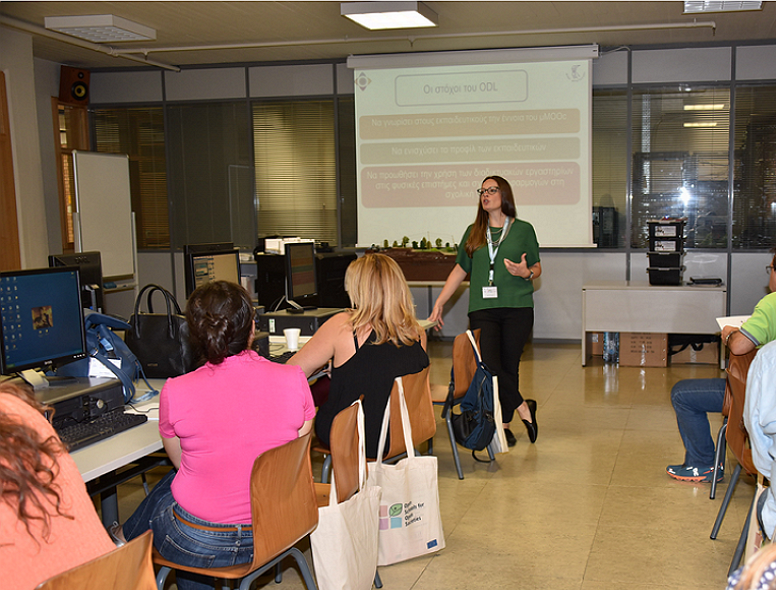 The first meeting of the 15 OSOS school hubs that have been selected to spearhead the implementation of the Open Schools for Open Societies project in Greece was also organised by the national coordinator, the Institute of Educational Policy and the project coordinator, Ellinogermaniki Agogi.